A flexible system of discounts, provides a more liberal approach on the part of buyers and a certain attachment and sales promotion. 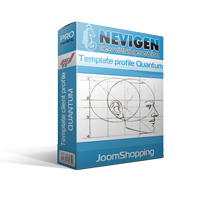 In the component JoomShopping have several choices of discounts. One of these options is a participation in a particular buyer group. Each group is assigned a certain discount, and in-store customer who logged on and is part of a certain group sees immediately discounted prices. The store created a group of buyers "wholesale buyer" at a discount 10%, to which the client belongs A. The site contains product "Messenger" for $ 100. When entering the client and seeing the price of "Communicator" - $ 100, after login the price of goods "Communicator" will show as $ 90. Discount group applies to all goods store. If customers in your store 5-10, you can independently track the statistics of their orders, and manually assign them to a group that the client was interested in buying more in your shop and get discounts on future purchases. Just like in the real world. HOWEVER! if you have 100 customers? And if 500 or more? How long will the collection of statistics, the sum of orders and transfer of each client in a group? And when you consider that in JoomShopping not provide for the establishment and output statistics on the client? 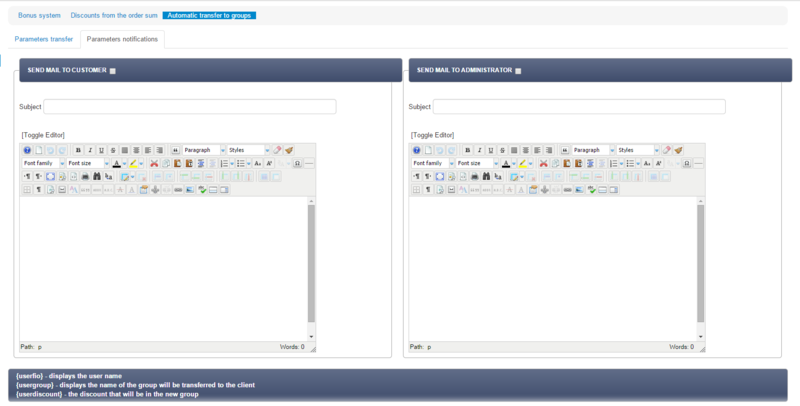 This plugin is designed to automate such work, ie transfer users to the desired group in achieving certain conditions. Terms and conditions are set in the addon. The set of conditions can be combined. You define the conditions and everything. Then the implementation of customer orders are automatically recalculated amount and the client when the conditions indicated in your settings are automatically converted to the appropriate group. 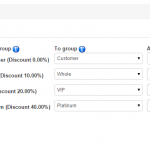 This plugin only works on improving customer groups, ie he did not reassign the client to the group at a discount below the destination that could significantly affect customer loyalty. 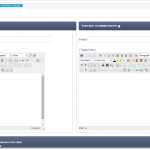 You probably already have a store and customers, and install this plugin because it is necessary to stimulate them. But the logic of the plugin will only take into account future orders. And what about the customers who have already made orders? Do not worry! Assign the conditions for client groups. Save them. And press the " Reassign group ". All existing clients will be redefined in the group with the specified maximum transfer conditions, AUTOMATICALLY . The results of this plugin integrated into the " Advanced profile template customer "and displayed as a string" Prior to the next discount level left: ..... "(if specified conditions), which allows the client to show the necessary information about the achievement of the following boundary value for the transition to a new level of discounts, that will encourage customers to make purchases. Addon does not change the core component. 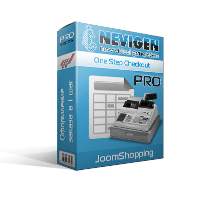 installation is done through the control panel "Installing and Upgrading" itself JoomShoppinga, as usual addon . Очень интересное решение. Техническая поддержка отзывчивая! Что очень важно. используется плагин нечасто, тем не менее штука необходима и даже удобна. Отличная штука. Покупайте не задумываясь! Модуль великолепен. То, что надо для организации на сайте автоматического перевода пользователей из одной группы в другую. Легкие настройки. Спасибо разработчикам. 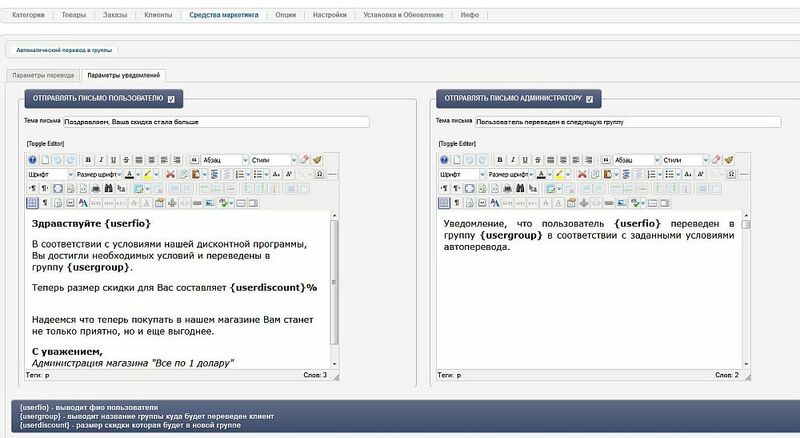 Огромное спасибо разработчикам! работает все отлично! Очень удобно и положительно влияет на всею работу в целом. Удачи Вам! Приобретал расширение на несколько проектов. Очень удобно и избавляет от рутиной работы администратора сайта. Купил, настроил и забыл. Работает как часы. Пришел за другим модулем, вспомнил про этот. Я не помню про него, а он работает. Всем советую. Гибкая система скидок, обеспечивает более лояльный подход со стороны покупателей и определенную привязанность и стимулирование продаж. Почему купил? Имеется ИМ на другой платформе, где раелизована возможность оставлять отзывы, показали свою эффективность.Разработчикам добра! Addon and module. Allow to set the timing for a product at a discount and display information about the campaign.